Our Worshipful Master, Dinesh Dave welcomes you to our website. 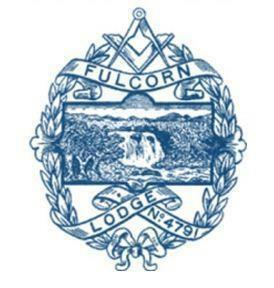 Please look at our News and Events pages for the very latest information on Fulcorn Lodge. Finally, if you wish to contact us for any reason please use the contact form on the "contact-us" page. Please sign our Guestbook, your comments will be much appreciated. the supreme sacrifice in World War 1. We have been in possession of this travelling gavel for many years. It was rescued by us from East Barnet lodge in Hertfordshire from what we recall. Recently we communicated with the Provincial Grand Lodge of Queensland, Australia as it was Pines Lodge that initiated this travelling gavel to ascertain its history. We have learned that Pines lodge has unfortunately closed. While we wait to hear from PGLQ, it feels that we owe a duty to Pines lodge to resurrect life in this Gavel and get it travelling again. If there is any lodge out there that knows of any history behind this Gavel then we would greatly appreciate you getting in touch with us.